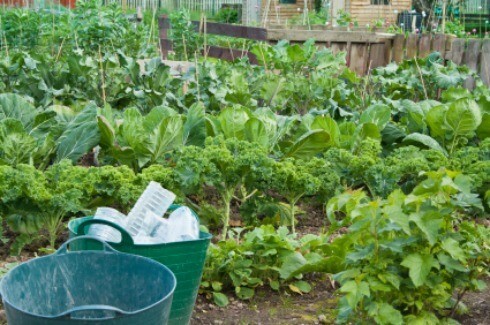 Vegetable garden planting times vary by the region in which you live and the type of veggie you wish to plant. This is a guide about vegetable garden planting times. This guide will help you schedule the planting of gardens so space may be utilized efficiently. Designed for central Iowa, dates for southern Iowa would be about 1 week earlier, for northern Iowa about 1 week later. For more information on planting a vegetable garden, see Pm-819, Planting a Home Vegetable Garden. This article is available in PDF format. Click here to download it. I cannot find a planting calendar for a vegetable garden. I live in the South Coast, Batemans Bay, NSW Australia. What do you plant in spring, summer, and autumn? Can you suggest a month by month or a seasonal calendar? Many thanks. Mariannina, The ABC gardening show always tells us what to plant when and where, gardening magazines, seed packets, Yates garden book and their website, your local garden nursery. Most Neighbour Houses have a garden club and are happy to help. Regards and happy gardening Jean, Maffra Victoria. Marianna another source for vegetable gardening is in the Diggers Magazine Also the Womans Weekly usually has a section on gardening with monthly suggestions. How late can I plant a small basic vegetable garden in eastern Montana? Most county extension offices publish free leaflets you can either pick up in the office or download from the website - and all of that info is geared towards your locale so that important gardening success factors like micro-climates specific to your area, first and last frost dates, and planting calendars are right there for you to use. I am excited about having my "first time ever" backyard garden. Please advise planting times (between zones 7 and 8) for watermelons, banana cantaloupes, okra, and blackeyed peas. Thank you. If you live in the US, the best place for veg (and other plantings including landscape and flowers) advice is from your local extension office. The webpages for your county extension office are free to download/print and are specific to YOUR area-the pages will highlight information geared to the microclimates, what grows best there, and what plant pests and diseases are causing a concern-all of it local to your area! When would be a good time to seed veggies seeds and also when to plant? You plant the seeds inside in small peat pots about 2-3 weeks before you get ready to plant and tend to them indoors. Sunny spot, windowseal or such. You plant outside after the last frost, which typically (at least in the South) is right after Easter (although the weather is changing over the years and requires a bit of weather forecasting these days.) Review when the last frosts are your area, though, before planting outdoors. Where can I find a vegetable planting calendar for the UK? Goo luck, hope this helps! At a time that I did not need it I ran across a pdf document that showed what kinds of plants could be planted and grown in a given zone (mine is DFW Texas). Would anyone have something like this that I could download? It was like a chart that showed a list of the vegetables then the months were listed across the top and it diagrammed what veggies could be grown during each month. I hope I am making sense. Call your county extension office, ask them to send all info on gardening. They have what you need, good luck.